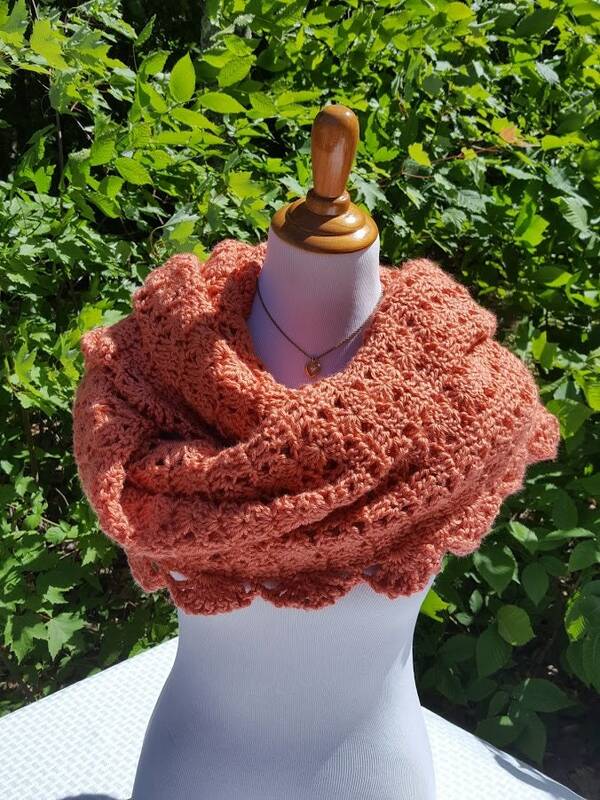 Do you want to turn heads on the red carpet? 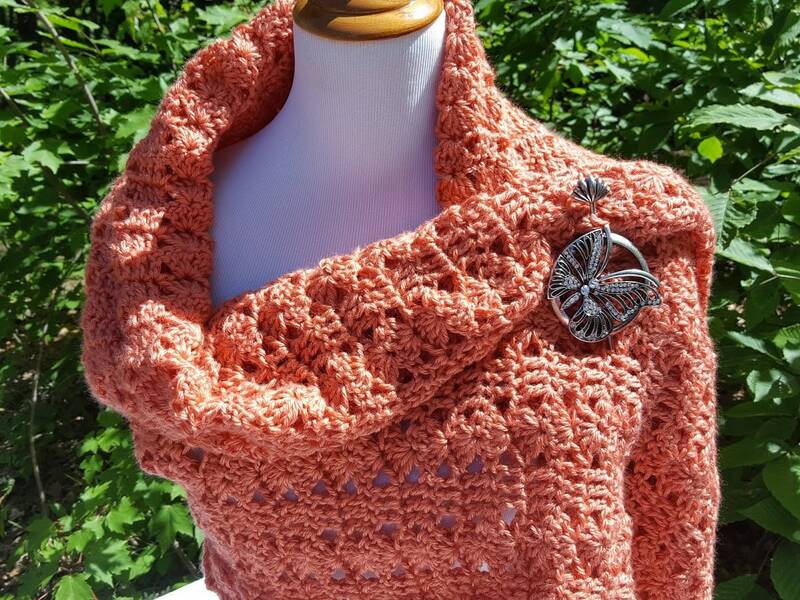 Do you want a OOAK wrap for your special day? 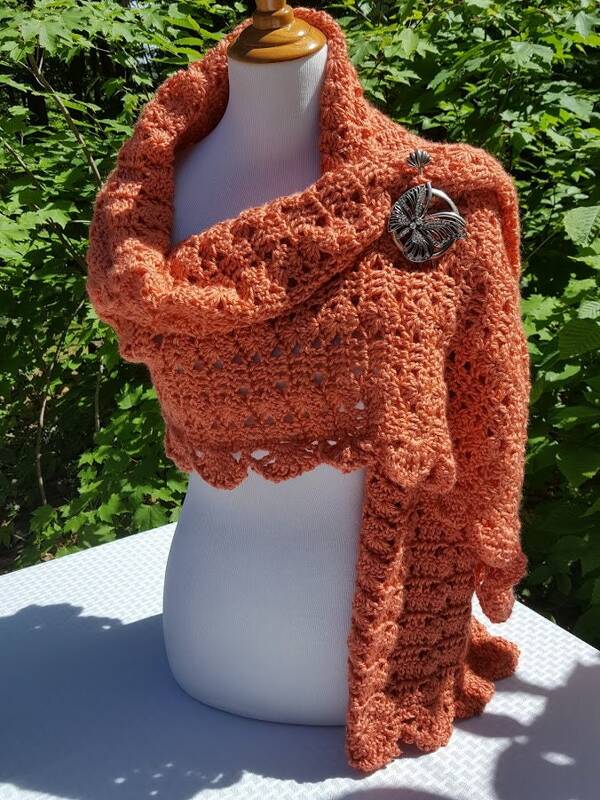 How about a variety of gorgeous shawls for a wedding party? Then you've come to the right place! 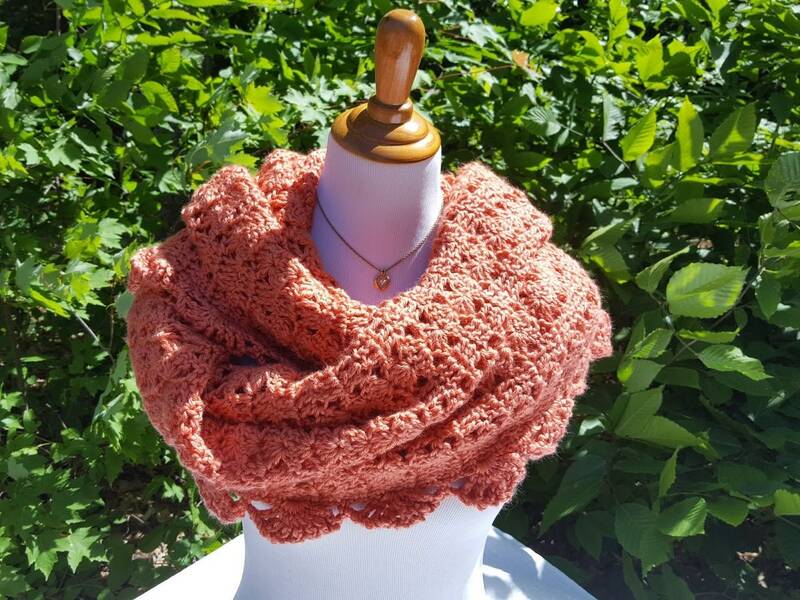 This crocheted wrap measures approximately 24" wide by 80" long and can be created in different sizes and colors to accommodate your wedding party. 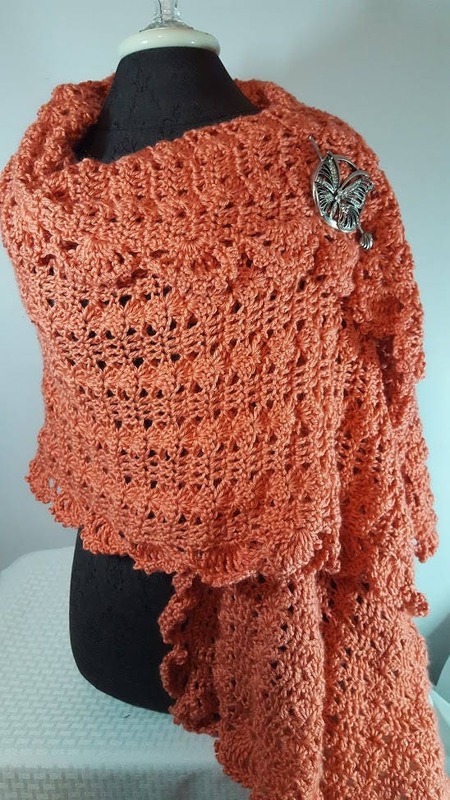 This handmade crocheted shawl is made with a beautiful shell pattern and scallop edging all around. 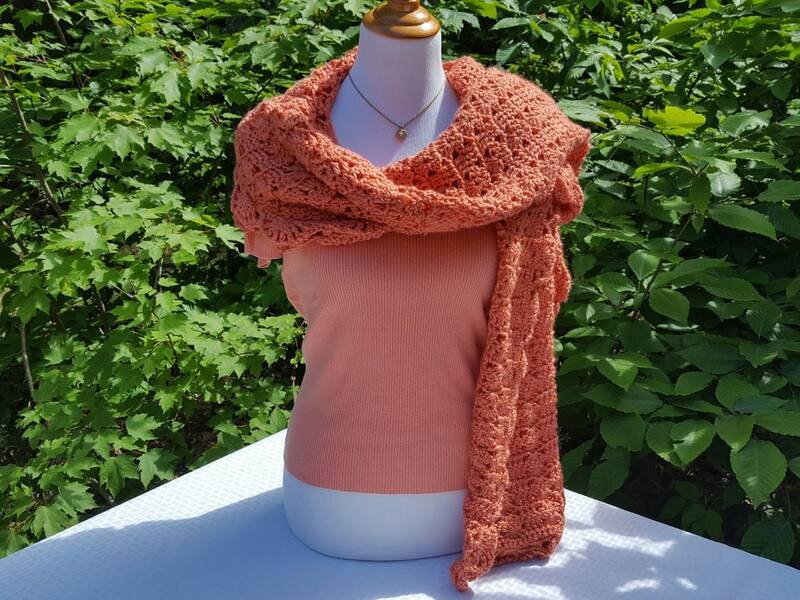 Shown is a lovely shade of persimmon, giving a beautiful warm glow to that little black dress, but it can be custom made in virtually any color you may have in mind. How about a smashing red over a smart white tee, and jeans? Or perhaps a soft pink with a cream blouse and peasant skirt? Better yet, a navy blue wrap with a silver turtleneck and satin slacks? The combinations are endless!